Independent Publisher has been to recognize and encourage the work of publishers who exhibit the courage and creativity necessary to take chances, break new ground, and bring about changes, not only to the world of publishing, but to our society, our environment, and our collective spirit. Chicago Book and Media Show -- Crystal Book Award of Excellence. AWARD WINNER- Chicago Book and Media Show Honors (World History Ink) AWARD WINNER- Crystal Book Award of Excellence (American History Ink Teacher’s Guide) This event honors excellence in the planning, supervision, and execution of the physical and visual aspects of publishing media. (Justice Case Files) - (3 Narratives) This award honors an organization, court or individual (or individuals) who have promoted, inspired, improved, or led an innovation or accomplishment in the field of civics education relating to the justice system. The Sandra Day O'Connor Award for the Advancement of Civics Education is named after the retired Associate Justice of the United States Supreme Court. When she was named to the U.S. Supreme Court by President Ronald Reagan in 1981, she became the first woman to serve on the nation’s highest court. Justice O’Connor retired from the Supreme Court in 2006, and since has become a tireless advocate for improving civics education. We want to tell you a story. But it’s not our story. It’s yours. 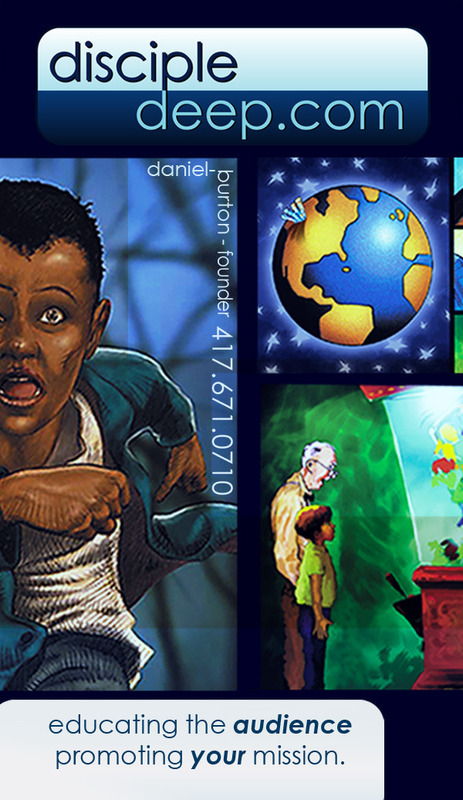 Disciple Deep produces high-quality, artistic narrative art novels that amaze and inspire. We hook any reader in and then carry them through an adventure, right to your call-to-action page. Tell your story, and make it shareable with Disciple Deep Narrative Art Novels. Disciple Deep educates the audience sharing your story. We bring a PERSONAL connection to your brand. 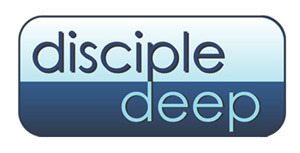 By investing in Disciple Deep today, you will make sure more of your investments succeed. We know you want millions of fans to loving what you do much as you do. Unfortunately, the reality is it may not happen, that's why 80% of investments fail. In today's social media economy, we need to get people talking about you, and sharing your content, so you can beat those odds. And let's face it, with this "exodus" away from hypey, ineffective advertising, customers want, and CRAVE a story-based, emotional connection with you. 1) Q: What is the biggest problem we're solving? Your people love you and what you stand for. They want to get others following you, investing in you, and buying from you. But, they can't semm to make the appeal as good to their friends as you made it to them. A.) It's not easy spreading the message you want them to share. (That's why ad agencies exist, right?) Sure, you could pay to try and get new customers with hypey, ineffective advertising, but wouldn't it be better to give your loyal followers simple, non-threatening messaging they can share while having you stand out like a super-hero in the process? With everyone having a video camera in their pocket, the whole world can advertise on YouTube, web, television. it is hard to find a unique media that will help you stand out from your competitors, while adding a personal touch. We help people care about you and get people talking about your mission. • Draw in the millions of raving fans that will promote and share your story for you. • Save money and time over and above your current advertising programs. • Keep customers engaged to extend the entire lifespan of your product by developing your legacy. Using the narrative art medium, Disciple Deep gives your fans a story to share with something good to say. We use the narrative art medium because it is the best way to tell your story and build confidence in your brand. Narrative art media is not threatening or intrusive like advertising can be. It's personal. 2) Who are our target customers and how are we getting distribution? We target clients who care about their customers enough to get them engaged in their narrative. We cater to companies who care deeply about their mission. They pay the price to educate the masses on what they do. • Smart businesses buy Narrative Art to stand the test of time. * Caring governments buy Narrative Art to promote national pride. Direct digital distribution to any mobile device or we can create as many physical copies as needed. 3) Do we already have initial traction? You bet. Here it is. altogether bringing in a little over 4 million dollars. 4) I'm sure you'd like to meet our competitors, even though we're better than all of them. There are a lot of could-be competitors, but not many are tackling this market yet. We look to have a 1-3 year head start before we start seeing real competitors in this particular market. Here's some ideas on where our future competitors may come from and how we are going to beat them. Traditional SPONSOR-BASED graphic publishers like Marvel, DC. Dark Horse, Image and IDW who tend to push their characters into your brand and tell stories they want to tell. Hoping you will leverage their characters and pay them to promote their characters on your brand. ---We are better because ALL of these publishers focus on entertainment. They let you promote THEIR brand. We create a specific narrative for YOU based for the sole purpose of educating the consumer and causing them to buy YOUR brand. AD AGENCIES and CREATIVE BOUTIQUES like BFG9000, Rokkan, Mother, Leo Burnett and Noble that work primarily in traditional print ads, TV commercials, and digital media through Facebook and YouTube. NONE OF WHICH specialize in Narrative Art marketing. ---We are better because we have been doing this specific niche marketing for 10 years. We are the GUY in THE GARAGE -- We are the Jeff Bezos, Steve Jobs, Larry Page, Sergey Brin, Walt Disney, Bill Hewett, Dave Packard--We are passionate about what we do. Remember when people said, "What's this internet thing?" So, everyone needed a website. Now with social media paving the way, everyone needs their own narrative if they are going to create their tribe, survive, and thrive. It is the NEXT BIG THING of INTERNET MARKETING. Have you actually seen the numbers on these similar narrative art-related properties? Have you seen Guardians of the Galaxy yet? Iron Man 3? The Avengers? Marvel Comics and DC Comics are the leading producers of comic books which since acquired by Disney (Marvel) and Warner Bros. (DC) have spun their intellectual property to movies and gone main stream. This has skyrocketed the need, as well as the desire for more acceptability of this narrative art form than any other time in history. Marvel and DC own only ONE SEGMENT of the market (entertainment). It is our belief, that by using this medium to educate the public in EVERY OTHER SECTOR of the economy, we will be a billion dollar company. With license rights abounding for smaller business within a particular niche. We want to be the MARVEL of Branded Storytelling using the Narrative Art Media. Walt Disney said, "I would rather entertain and hope that people learned something than educate people and hope they were entertained." Our world has changed a lot since then. Education systems are floundering and we are at the dawn of a new technological era. It is most important that the future generations are educated. And if they can be entertained enough to remember what they learn, all the better for mankind. "Of all our inventions for mass communication, pictures still speak the most universally understood language." MARKETING STRATEGY -- Here's how we get to a billion. The market is huge right now with many advertisers and companies working to brand their personal narratives at lower costs than before. Thanks to YouTube, FaceBook, and Google + advertisers can spend less, therefore their budget has a lot of room for a lot of different styles of advertising, including Narrative Art Media. Also, because words and pictures get shared more, we actually are in a prime position to market YOUR BRAND through social media with an engaging product line of many stories. MICRO STRATEGY -- We will focus on niche markets to begin with to sell narrative solutions to solve main industry problems. These initial visionary sessions cost a bit more. MACRO STRATEGY -- Once the vision has been established through a narrative product line, smaller businesses can make use of the product for personal branding for a reduced license fee. Each with customized covers we can charge for. -- We develop info products for MARKETING and ADVERTISING market on how to best use Narrative Art Marketing. BEHIND THE SCENES 2 -- MACRO STRATEGY -- We develop an Artist Incubator info products for NARRATIVE ARTISTS showcasing them how to do what we do and make money with their art by starting new businesses. Future artists will use this as the Go-To Tuition instead of getting their Masters at Expensive Art Schools. BEHIND THE SCENES 3 -- MACRO STRATEGY 3 -- We own the license rights and Intellectual Property to brands that if they get picked up by movies or product development, we get a piece. We are profitable and have recently acquired marketing services to help develop a sales team. Funding for creating marketing narratives will help us get additional clients quicker. We are world-class marketing and narrative art experts, We use creators from ALL AROUND THE GLOBE. Each with over 15 years in the field creating and managing creatives. We create MAGIC. Our MARKETING team has list of over 300,000 people to promote grass-roots marketing campaigns. Our SALES team is led by a kingpin who got rich in the mortgage industry, then when that market market tanked he went looking for the next BIG thing. Now he's here. 15 years Narrative Art management. Handle Client Relations with NCSC, Chickasaw Nation, and McGraw-Hill Transforming artists into entrepreneurs. Sharing your story in the richest media possible. I'm a self taught technologist who has a deep passion for computers. I believe in working smarter, not harder, by putting technology to good use. Stop working for the computer and make the computer work for you! Katie Freiling is an Internet marketing consultant who helps purpose-driven entrepreneurs create and market their businesses online. She has a large following on YouTube, Facebook, and has launched several successful online courses and apps. Professional writer, researcher & creator for over twenty-five years, with hundreds of credits for major graphic novel and publishing houses, including Simon & Schuster, Marvel Entertainment, DC Comics, Capstone, Harlequin/Gold Eagle and many more. Contract with companies to create a series of narrative art novels. From that revenue pay investors, sales, production and profit. Printing, Tech, Marketing can be priced additionally at customer request. Ideal tech and marketing scenario: Using Disciple Deep marketing call-to-action at the end of our novels (read on a i-pad, tablet, or laptop) our stories prompts users directly into marketing funnels to immediately take action (fill a survey, give email, vote, or to buy a related product or service). Ideal printing scenario: Large companies buy and donate books as advertising expense to share the right message with crowd they will want to market to a few months or years down the line. The readers remember the message so they are more apt to buy. Also, in a world of digital devices, where everything is a TV in front of us--and everyone is on YouTube and the movies--those forms of media become overused. This widens the gap for new media, with highly skilled creatives, to offer some relief from the constant bombardment. The new media thrives. 1. We are an agency model with a few twists. We go after LEADER COMPANIES OF NICHE MARKETS. which will create the FOUNDATIONAL messaging for any particular business. Just like franchising, we can adjust and sell already created content to smaller businesses that can just update a cover with their personal logo on it or business info. (This is for people in the same market niche or franchise) All these businesses pay a licensing fee. Plus, we can create custom branding for them as well. 2. We will be the MARVEL of Narrative Art Marketing. People will want to copy us. We let them. We OFFER RESOURCES to the MARKETING and ADVERTISING market. showing BEST-USE PRACTICES for Implementing Narrative Art MEDIA. This helps not only bring in new customers but expands an entire MARKETING market. with this new media. Our affiliate programs will help expand these programs which we can sell to marketers as the hot new way to market to customers. 3. We scale on the back-end. Through our team creating these novels. We hope to grow the entire Narrative Art Marketing Field. and we will be at the top. We have on the back-end ARTIST INCUBATOR programs to show them how we do what we do. Currently "Deviant Art" is the premiere website for artist/designers/creators which has a community of 5 million creators. This is just ONE of the many creator platforms on-line. We create products taking creators through our process showing them how to successfully set up an art company machine making money with their art. Build in affiliate programs with these products. Now we have a big stake in owning the entire narrative art media arts community. Future artists will use this as the Go-To Tuition instead of getting their Masters at Expensive Art Schools. We hope to do for independent artists in the art field what has happened to indie artists in the music field. This is a wide-open market ready for LEADERSHIP. We are ready to be that LEADER. A SIGNATURE TEAM -- Well versed in creating educational materials to promote your message to your audience. HIGHLY EXPERIENCED MANAGEMENT -- Years of experience in marketing, production, management, working with educational clients/creators and specializing in creating educational narrative art novels for 10 years. HIGHLY SKILLED CREATORS -- Our creators have years of experience learning their crafts. We seek only the best. HIGHLY EDUCATED CREATORS -- Most people in the industry (creators/management) focus only for super-hero entertainment and disregard the marketing/business advantages of the medium--or are easily bored by producing it. Over the years, we have cultivated our creators to flourish through the entire process. WE MAKE MAGIC -- When someone buys into us, we touch their target base on an emotional level--they cry, they laugh, their heart burns with passion. When we go big with us, you'll be there at the beginning stages of the journey, and be able to sell our stuff for a stupidly higher price than you paid to get in. Thanks for playing. P: NO ONE CARES ABOUT YOU. No one talks about you. If they do talk about you, they say bad things. A: We help them start talking and say good things. * WHO likes to share ads? No one. People share good content. People share stories they care about with people in their tribe. Narrative Art is a product and an ad all in one that flies under the ad-radar. P: CUSTOMERS DON’T TAKE ACTION TO BUY YOUR PRODUCT. A: We help them see the importance of taking action and give them a means to do through Narrative Art and your web sales funnel. *HOW? They click once, they click several times, page after page, and when it’s time to buy, they click that, too. P: THERE IS TOO MUCH “NOISE” ON THE INFORMATION HIGHWAY. Average attention span is for 12-28 seconds is rampant in our culture. People go from one thing to another quickly. A: We slow them down. *HOW? Instead of watching a 15 second ad, we hold their attention for 5-15 minutes. Then they remember at a DEEP level of what they just experienced. A: People who have money, and care so deeply about there dreams, they want to see them flourish above all else. We attract those people. P: YOU ARE COMPETING WITH YOUR CUSTOMERS THOUGHTS. With so much media out there, it is becoming more and more difficult to influence people. A: We are the relief your customer needs from a bombardment of messages. PROBLEMS> You can say the same thing over and over and over again. But people lose sight of what your mission is. They lose sight of the vision for what you are going to accomplish. A: Corporate personality doesn’t change. Your story doesn’t change. Reading a Narrative Art Novel once, helps vision stick longer. PROBLEMS> You are having a hard time getting a sales team in place. A: We help you sell more stuff through word-of-mouth social media. PROBLEMS> As people get all are moving to YouTube to express their ideas it will be more and more difficult to stand out. Bottom line, the human mind only notices what’s different. PROBLEMS> Most brands only operate at a surface level. So they can only get a quick buy. A: We engage your audience at a deeper level, so you have a customer for life. PROBLEMS> Most brands appeal to the uneducated populace. But smart brands target smart people. A: Narrative Art customers are smarter people. They read. They understand. They buy what is important, not some cheap thrill. We attract smart customers. * (HOW are they smarter?) They control the flow of Narrative Art. It’s their interaction, their movements, their brain, and their tactile interface with their fingers that absorb the material and causes them to respond to your offer. PROBLEMS> Your brand has to constantly change to update with the times, costing hundreds of thousands of dollars. A: We secure the long-life of your brand in children, teenagers, and college students on up. They remember the impact and when it’s time to buy, they do. PROBLEMS> Who likes to share ads? No one. People share good content. A: People share stories they care about with people in their tribe. P: YOU AREN’T SURE WHAT TYPE OF ADVERTISING MEDIA WILL WORK FOR YOU. A: We will help you. If you have a story to tell, an idea to communicate, or a service to promote, narrative art is the way to do it.